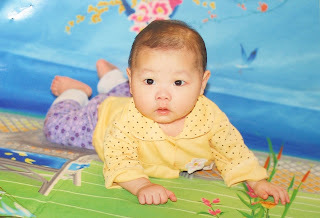 Children's Hope International: Fifteen China Referrals and Three Seeking Confirmation Letters! Fifteen China Referrals and Three Seeking Confirmation Letters! Today has been a wonderful day. We received 15 referrals for our China families!! There were two boys and 13 girls. The ages ranged from 8-months-old to 22-months-old which put all within the age range of what was requested by the families. This referral day covered January 13, 2006 to January 16, 2006 for a nearly 29 month wait. The next Children's Hope log-in-date to receive referrals will be February 9, 2006. In addition to today's referrals, Children's Hope received three seeking confirmation letters for families adopting waiting children. Congratulations to all of these families! Daniel and Michelle Monahan are spending tonight celebrating - and very likely brainstorming names - after being introduced to their new son today when they received their referral in St. Louis. "We had a feeling for awhile now that we would have a boy," says Michelle with a big, knowing smile. Congratulations! 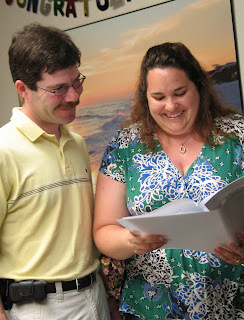 Jan and Patrick Driscoll celebrated with a kiss when they saw their daughter's face for the first time. After 29 months of waiting for a family, Jan said the moment was surreal.